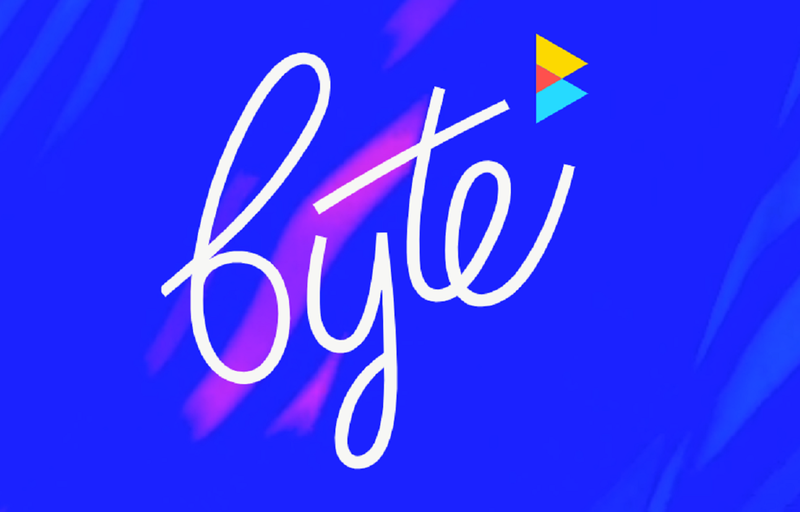 Just a month after announcing that the Vine sequel was back on — the first update since its development went on indefinite hiatus due to legal and financial issues in May — project leader Dom Hofmann has unveiled the upcoming app’s name: Byte. Curiously, ‘Byte’ was also the name of a social media app Hofmann put out in 2015, after quitting Vine in 2013 following its $30 million acquisition by Twitter. The original Byte was a hodgepodge of creative tools that let users make collage-like ‘Bytes’ by adding photos of themselves, emojis, fingertip drawings, soundtracks, and more. The website once tied to that app has been revamped and now welcomes users to “a new looping video app by the creator of Vine,” with a form allowing people to sign up for updates on its progress. Vine’s shutdown in 2016 came as a shock to many of its users, but perhaps not to some of its top creators, who had been exiting en masse due to a lack of monetization options. Brands were interested in marketing deals on the app — and some influencers on Vine did secure deals, which Vine did not take financial cuts of. But Vine simply never implemented monetization tools, and founders “resisted monetization from the start,” sources familiar with the matter told The Verge at the time. According to Hofmann, Byte will go into business with three overarching philosophies: giving an equal voice to every artist; being as generous as possible to every artist; and fostering a civilized, kind, inclusive, and non-toxic community. Whether “as generous as possible” means Hofmann is building monetization tools into Byte remains to be seen. But money has evidently been an issue for the app’s development, as it was originally going to be self-funded by Hofmann, but a larger-than-expected prospective audience required more cashflow.